Are you thinking of searching for used SUVs for sale near Indianapolis but are not sure where to begin your search? Come to Acra Automotive Group to check out our used SUVs for sale. Acra Automotive Group is known for our large and diverse selection of used SUVs for sale at our used car dealerships in Greensburg, Columbus, and Shelbyville, Indiana. We have everything from a Buick Enclave used SUV for sale to a Toyota Rav4 used SUV for sale at Acra Automotive Group. We are also known for our affordable prices on our used SUVs for sale at Acra Automotive Group, so you can be sure that you will find the used SUV for sale that you want at a price that fits your budget. If used Jeeps for sale are what interests you in your search of used SUVs for sale, we have almost fifty used Jeeps for sale at Acra. 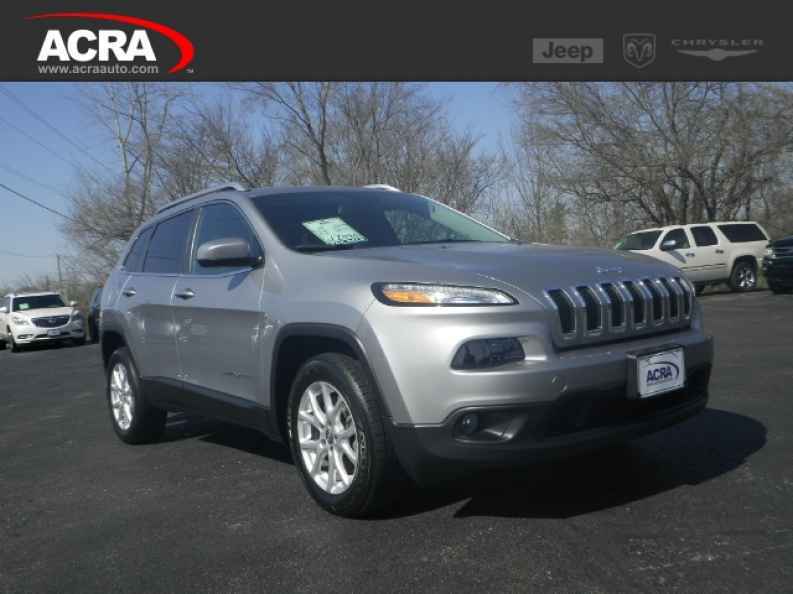 Take a look at the versatile 2014 Jeep Cherokee Latitude for sale at Acra Automotive Group. The Jeep Cherokee Latitude for sale has some outstanding key features that include steering wheel audio controls and wireless cell phone hookup so you can keep your hands on the wheel and your eyes on the road for safe driving. The Jeep Cherokee Latitude for sale at Acra Automotive Group also comes equipped with aluminum wheels, fog lights, traction control, and electronic stability control. Come check out the used Jeep Cherokee Latitude and take it for a test drive today at Acra Automotive Group. If the Jeep Cherokee Latitude is not what you are after, check out our other used Jeeps for sale or one of our many other makes and models of used SUVs for sale at Acra Automotive Group. With four convenient locations, we are a short drive from any Shelbyville, Columbus, and Greensburg, Indiana neighborhood, so come to see all we have to offer you at Acra Automotive Group. You can find the Acra Automotive Group car dealerships at Acra Pre-Owned Superstore located at 2820 North National Road in Columbus, IN 47201. Acra Pre-Owned Superstore located at 1200 East State Road 44 in Shelbyville, IN 46176. Acra Chrysler Dodge Ram located at 1407 North Lincoln Street in Greensburg, IN 47240, and Acra BuyRight located at 920 North Michigan Avenue in Greensburg, IN 47240.